The WordPress Theme Customization API allows developers to easily enable a ‘Customizer Page’ to their themes. The Theme Customizer API is supported from the 3.4 release onwards. WordPress recommends that developers provide theme customisation options in the Theme Customizer page, rather than providing options in a theme options page. Allowing users to change the appearance of your theme, edit or add settings to your theme via the WordPress Theme Customizer page will make your theme easy to use and appear professional. 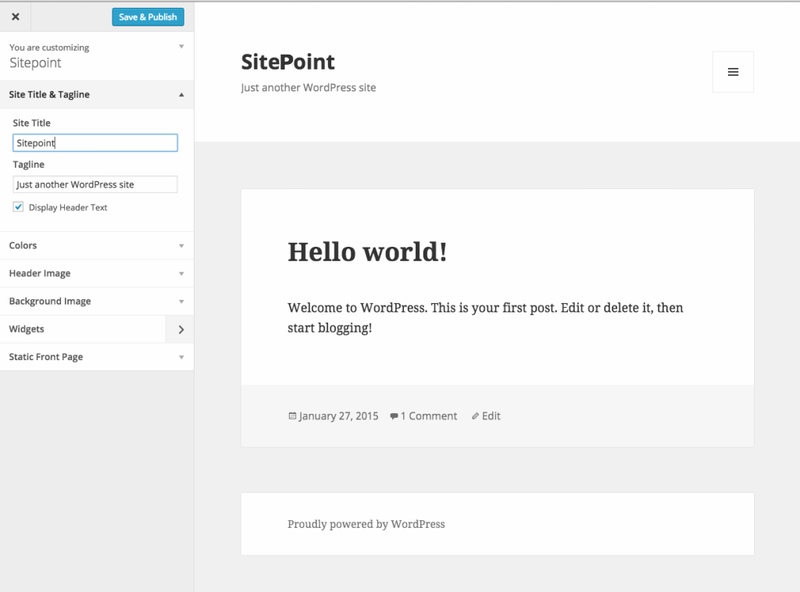 In this tutorial, I will show you what theme customization is, from a users perspective, and how to use the WordPress Theme Customization API to control the Customizer Page. This article assumes that you are familiar with the fundamentals of WordPress Theme and Plugin Development. What Is the Theme Customization API? The Theme Customization API allows developers to build controls and settings options in the Customize section found in the Appearance menu in the WordPress Dashboard. The Theme Customization screen (or Theme Customizer Page) allows site administrators to modify a theme’s settings, color schemes, widgets, titles and logos, to name a few of the common examples. It also provides a preview of those changes in real-time.